Is there life after death? 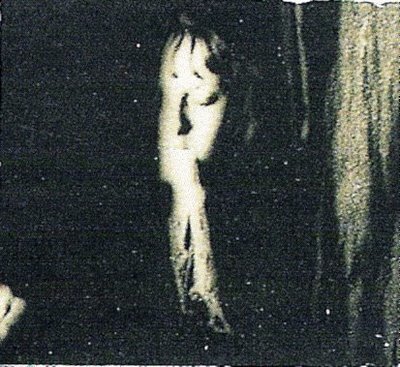 : Ectoplasm: captured on film? 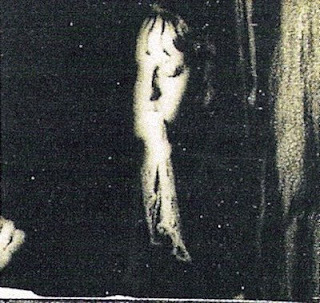 Albert Von Schrenck-Notzing (1862-1929) was a German physician who did a great deal of research into the paranormal, particularly physical mediumship. 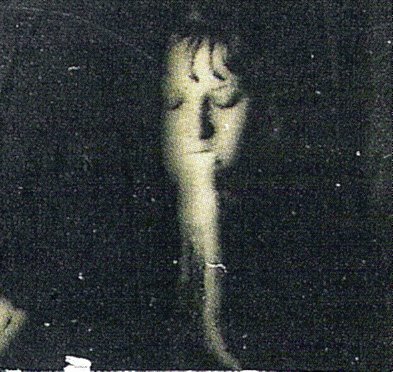 His book, "Phenomena of materialization" was published in 1920 (which can be viewed by clicking the link). 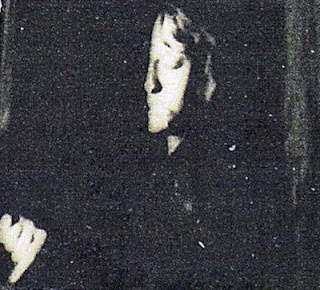 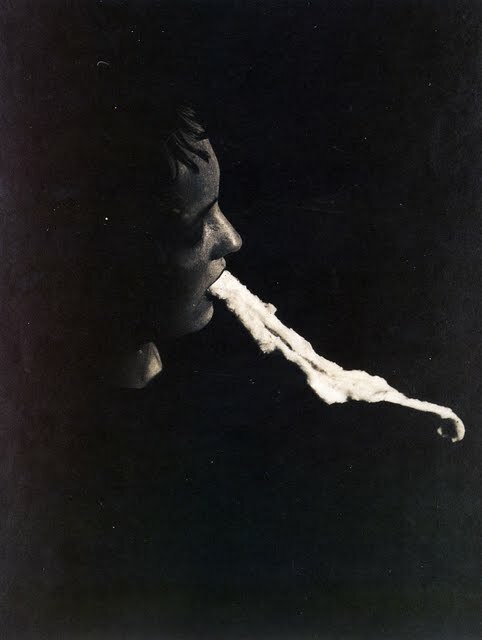 Albert Von Schrenck-Notzing is said to have found in the course of his investigations that ectoplasm is composed of white or colorless blood cells called leucocytes, which are extracted from the body of the physical medium during materialization. 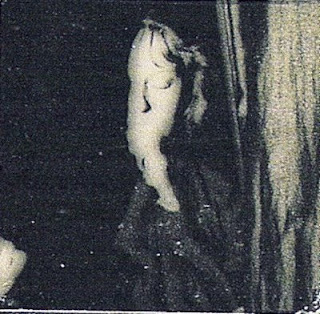 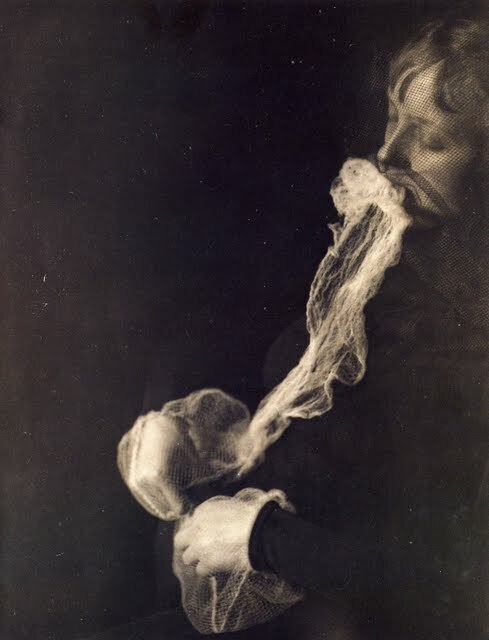 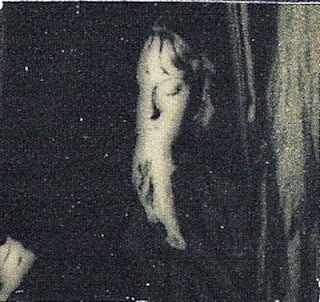 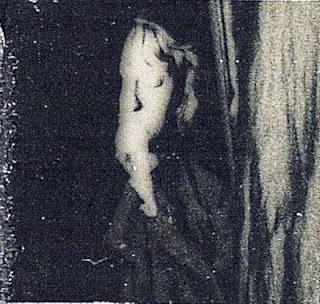 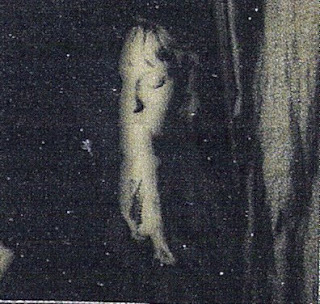 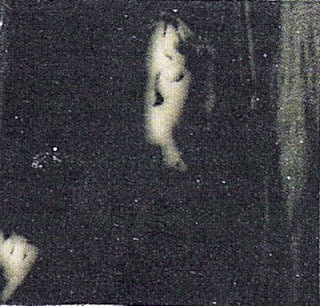 Von Schrenck investigated a number of mediums including Eva Carreire, Willi & Rudi Shneider and Stanislawa P.
The following photographs taken of polish medium Stanislawa P by Albert Von Schrenck-Notzing show the medium demonstrating the emission of ectoplasm- even through netting which was placed over her head to prevent trickery in the form of regurgitating materials through her mouth. 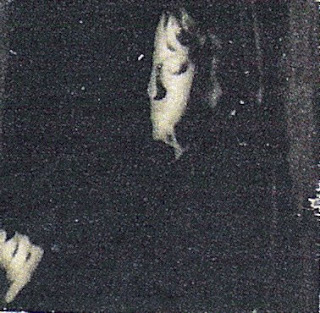 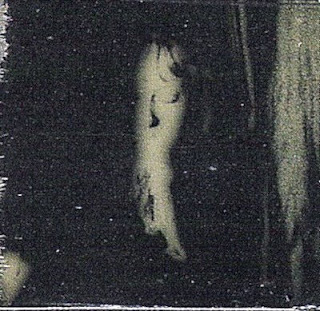 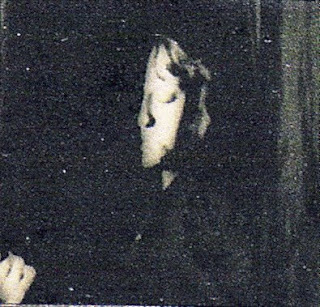 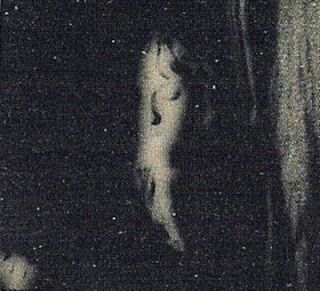 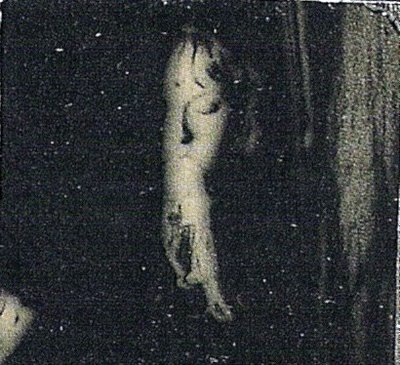 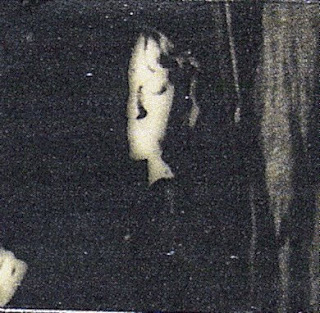 Sitting with a polish medium named Stanislawa P, Schrenck-Notzing was able to capture the emission and resorption of ectoplasm on cinematograph for the very first time. In his tests with Stanislawa P, Schrenck-Notzing also covered her head with a layer of netting which he claimed would eliminate the possibility of the medium regurgitating substances through her mouth. 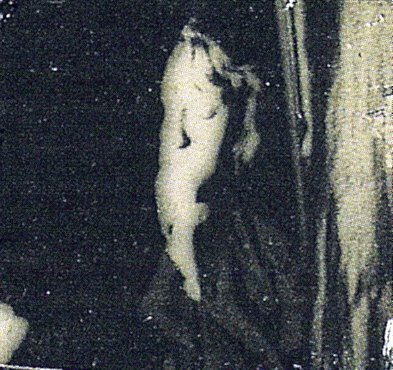 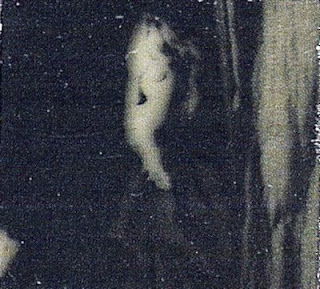 The medium was still able to produce ectoplasm even with the netting over her head. This film is apparently today archived at the University of Freiburg at the institute of Parapsychology.